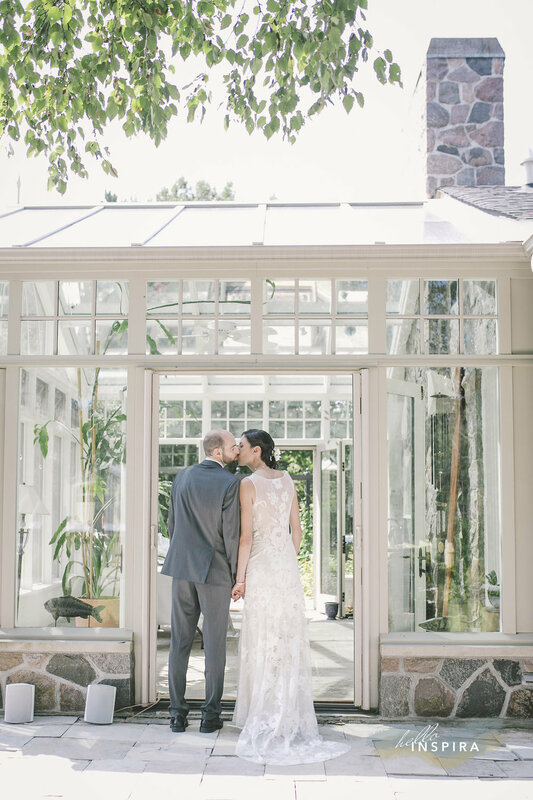 An airy, midsummer's afternoon embraced the wedding celebration of Tova and Grant. 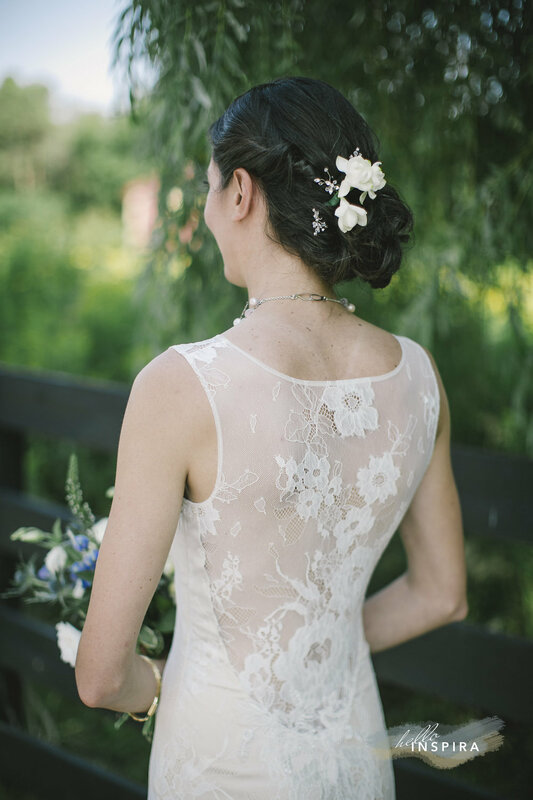 Acres of rolling hills, lush fields of wild blooms were met by traditional barn houses, a lavender farm, and Tova's beautiful childhood home. The couple envisioned an intimate affair with an array of hand crafted elements and a graceful celebration. 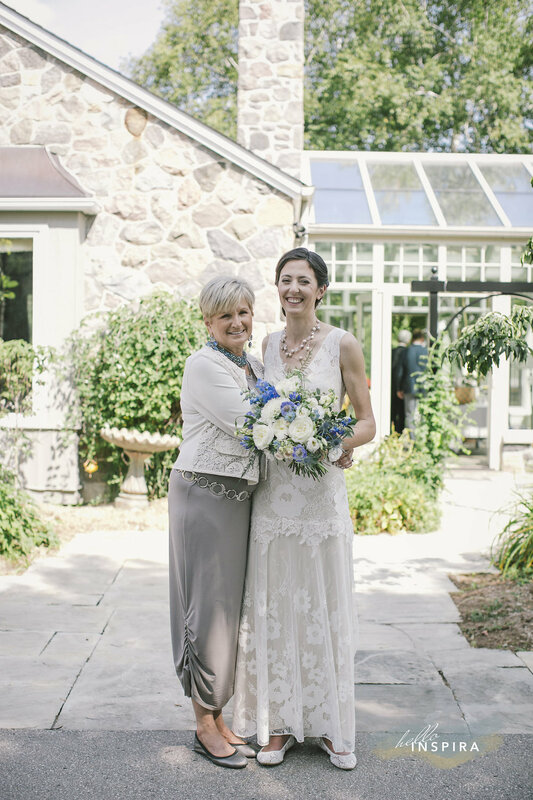 The wedding destination paid tribute to the a variety family traditions enjoyed by many generations of Tova's relatives. 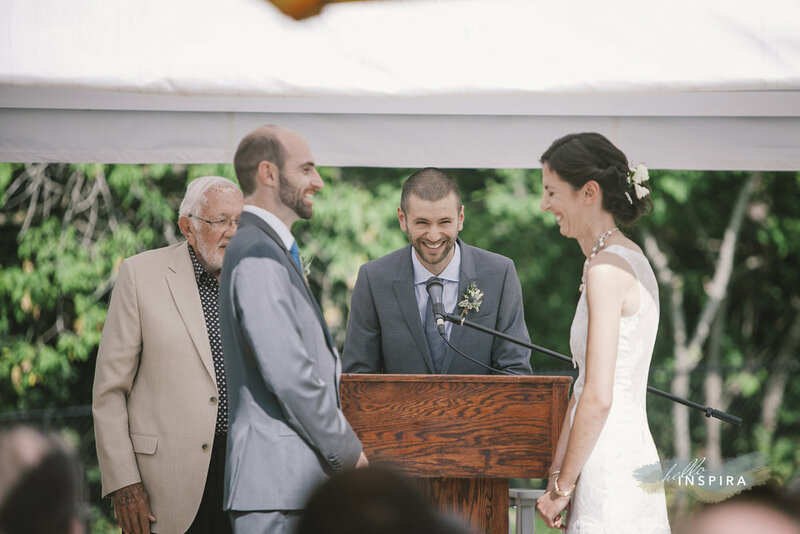 For Grant, new beginnings were shared as husband and wife. 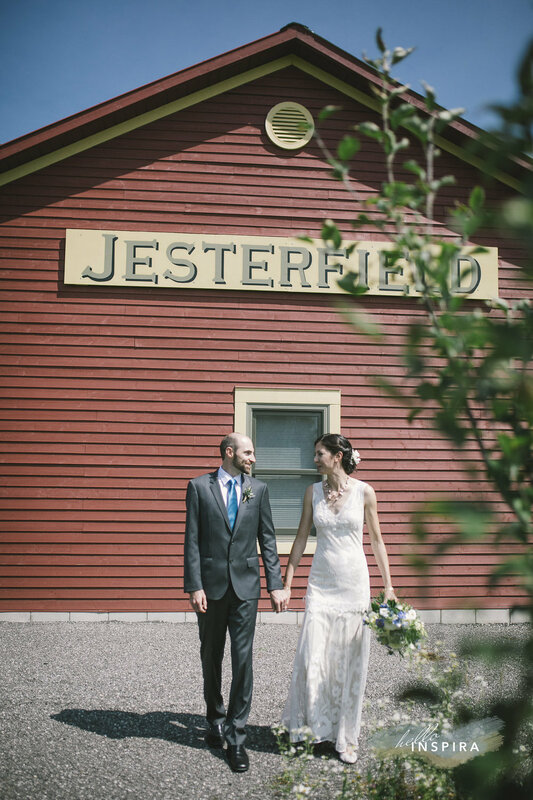 For both families, a new adventure was forged between the union of the couple. 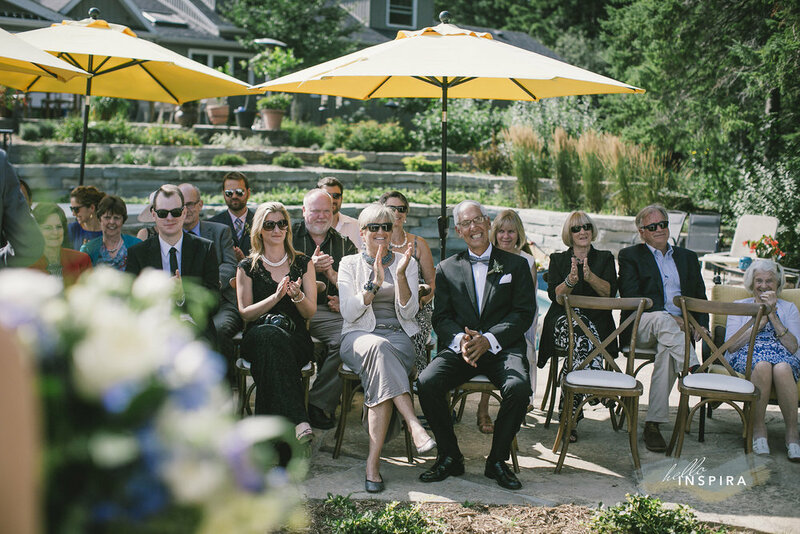 Guests from far and wide arrived to the estate home and were introduced to a breathtaking backyard ceremony by the poolside. 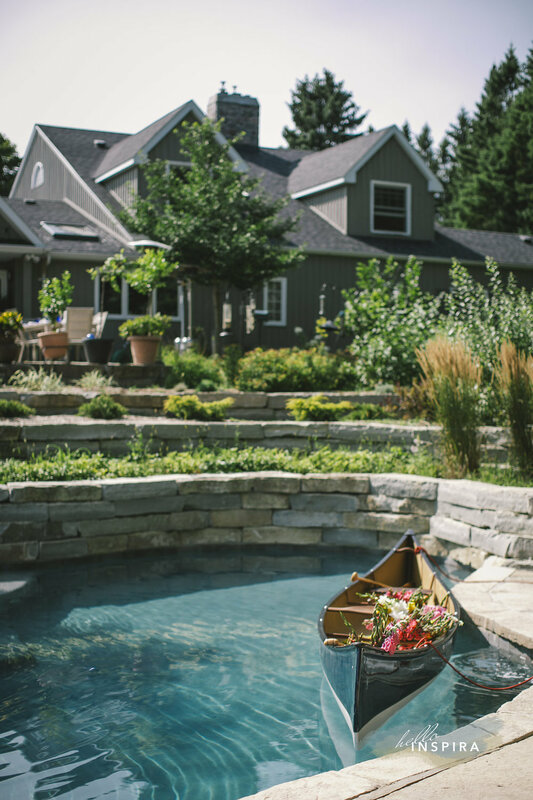 A canoe filled with homegrown blooms blossomed under the summer sun greeted family and friends. 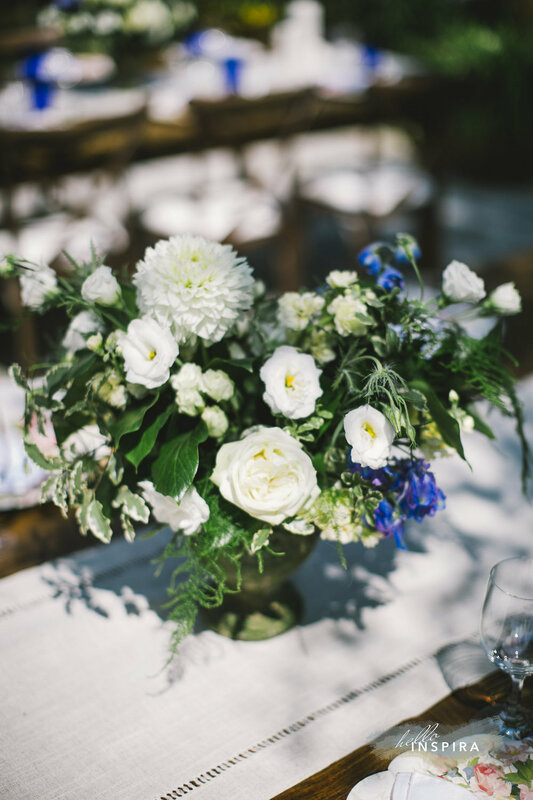 The flowers were nurtured by Tova's mother, Elizabeth and arranged specifically for the occasion. 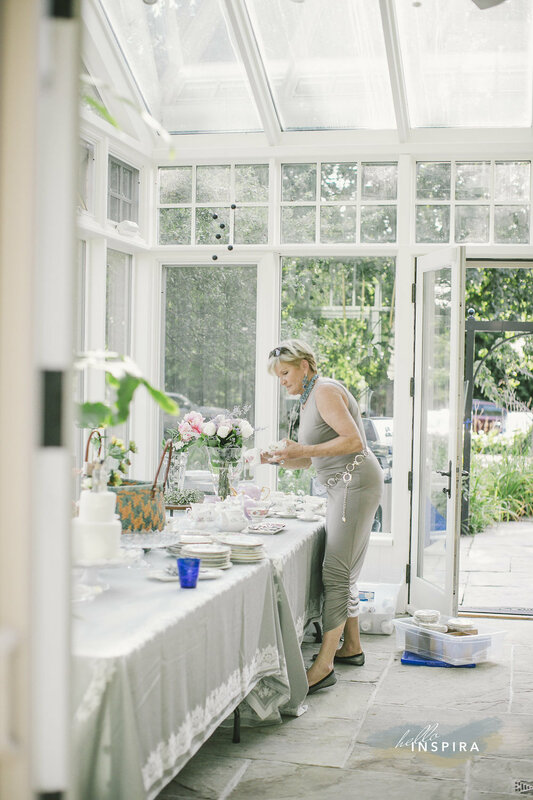 The notion of handmade and local was abundant in the sourcing of the wedding decor. Elizabeth attended a number of local Ontario vendors and creative markets, such as Blossom and Bloom to locate pieces and products that were indigenous to the Toronto creative culture. The event was further adorned by local floral designer, Tellie of Coriander Girl in the areas of personal flowers and centerpieces. The beautiful blooms were met with a handmade heart shaped succulent wreath by Hoopla Event Design that graced the altar. Like all the relatives in the family, the Ceremony was blessed and officiated by Tova's grandfather. This was a custom that has carried on for generations. A cocktail reception followed the intimate Ceremony. The commencement of the dinner Reception was celebrated by the breaking of bread, which is a Jewish ritual that belonged to the tradition of Tova's father, (name). The challah bread not only represented the faith of the family, but it also represented the meaning of love, respect and home. The occasion signified a very special meaning for (father's name), as it was the first time that the entirety of the family shared challah in a collective space. The evening was further enjoyed by an outback barbecue prepared by a neighboring family friend. Dancing, laughter, cake and sweets were had by all. Guests departed the event with a hand packaged linen pouch filled with lavender seeds harvested by the family from the estate. A keepsake that shared a little piece of this home family for loved ones to cherish for a long time coming.